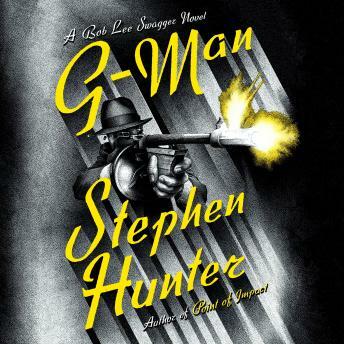 From bestselling author and Pulitzer Prize-winner Stephen Hunter, the latest episode in his Swagger family saga—replete with Hunter’s wicked suspense, vivid gun fights, and historical truths. 1934 was a pivotal year in the ongoing battle between the FBI and America’s most famous outlaws—it was a year of giant personalities and huge shoot-outs, and it marked the deaths of John Dillinger, Bonnie and Clyde, and Pretty Boy Floyd, among others. But that year, FBI agent Sam Cowley’s priority was to nab the most dangerous gangster this country has ever produced, a man so violent he scared Al Capone and was booted from the Chicago mob—Baby Face Nelson. To stop him, Cowley recruited the most talented gunman of the time—Charles Swagger. When Bob Lee Swagger, now in Idaho, finally sells the land he owned in Arkansas, the developers begin to tear down the old homestead and uncover a steel case hidden in the foundation. The case contains a batch of 1934 memorabilia—a much-corroded FBI badge, a .45 automatic preserved in cosmoline, a gun clip, and a cryptic diagram, all belonging to Charles Swagger. Bob never knew his grandfather Charles, who died before he was he born, and his father Earl refuses to mention him. Fascinated by this new information, Bob is driven to find out what happened to his grandfather, and why his own father, whom he worshipped, never spoke of Charles. But as he investigates further, Bob learns that someone is following him, someone with his own obsession of finding out what Charles Swagger left behind.